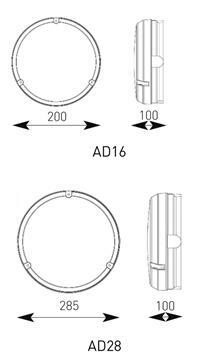 Multi-purpose range of circular bulkhead fittings for both internal and external installations. All polycarbonate construction. Body options of black or white base with deffuser options of clear prismatic or opal. Supplied c/w lamp.